You are at:Home»Draft Motor»What is a furnace Pressure Switch and What Does it Do? I’d be interested to learn more about what the pressure switches do in furnaces. We have a high efficiency York furnace that had a bad pressure switch (the one with two tubes that connects to the flame box and draft inducer motor, I think). The repair man bypassed the pressure switch while we waited for a new part. Were we at any safety risk during that time? I believe that pressure switch detects if the draft motor isn’t working or the vents are blocked. Could that lead to combustion gases getting into our house, or would something else shut it down? The pressure switch or switches are there for safety reasons. 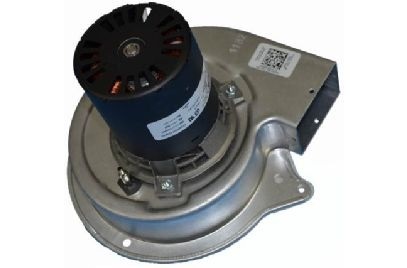 The purpose is to tell the control module that yes, the induced draft motor is working and properly removing the flue gasses from the unit through the flue to the outside air. If the induced draft motor is not working properly and does not create the required pressure drop in the combustion chamber, then the module is supposed to shut down the furnace. Prevention is the best safety measure when dealing with carbon monoxide. Do not bypass the safety devices on your furnace even while the repair person leaves to get a part. Carbon monoxide is a silent killer. It has no smell, taste or color. You can’t see it, taste it or smell it.